Wine of France. This intensely aromatic dry white comes from vineyard planted around the castle town of Saumur on the south bank of France's Loire Valley. To retain all the Chenin Blanc's ripe fruit after a gentle pressing the grapes were carefully fermented at cool temperatures in stainless steel vats. Since bottling in the spring, the wine has rested in cool rock-hewn cellars dug deep into the limestone below the vineyards themselves. 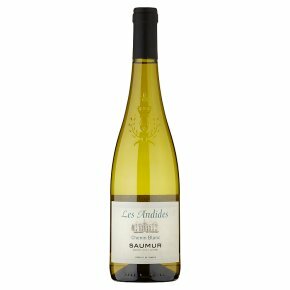 Ideally served chilled and drunk in the full freshness of its youth, this Saumur makes a delicious aperitif and is a perfect match for salads, poultry and spicy Thai or Chinese cuisine.